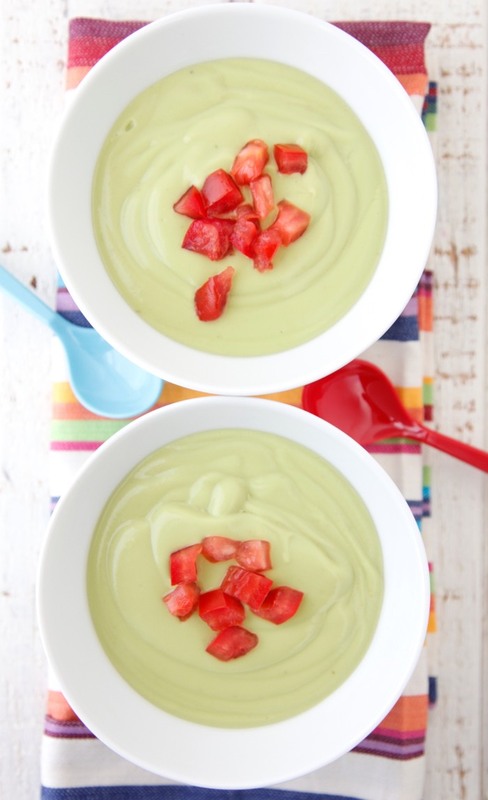 Is there anything more luscious and creamy on a hot summer’s day then a bowl full of Chilled Avocado Soup? To be completely honest I hadn’t ever tried it before until a few months ago when I saw it on a restaurant menu and a pregnancy craving screamed for it. 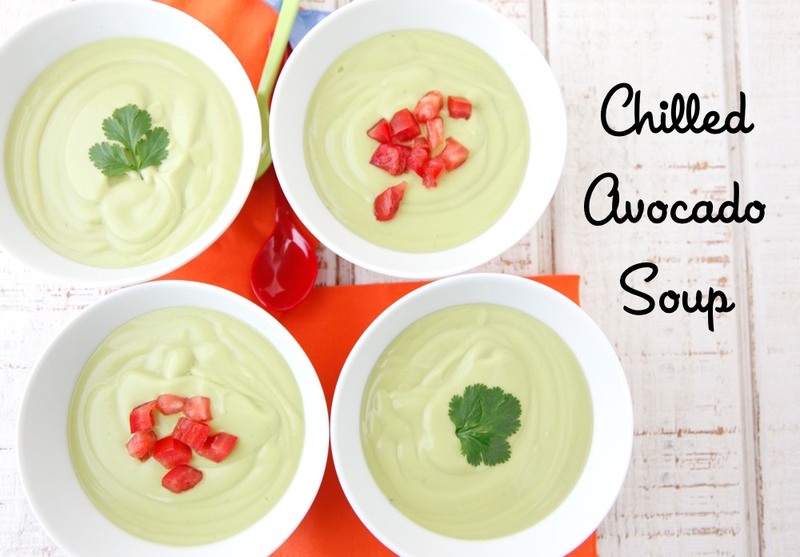 As Chloe is my avocado loving child, over the years she’s turned me from an avocado loather to an avocado lover! 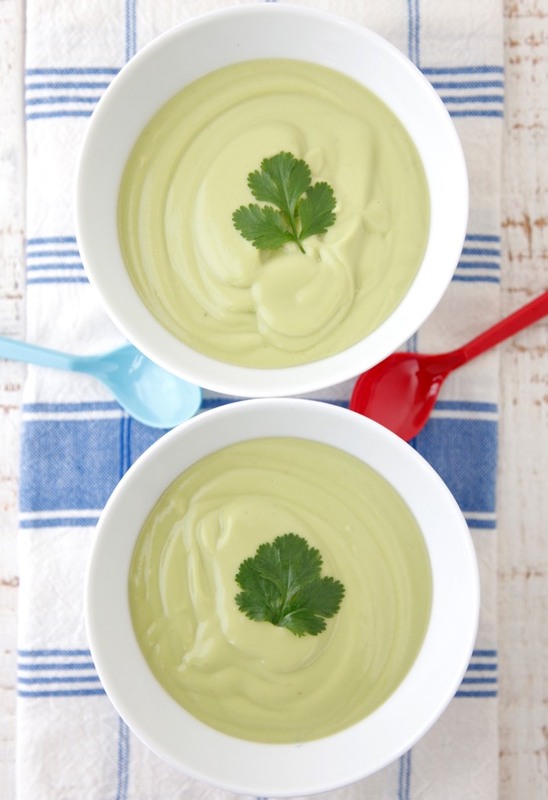 With all of the incredible varieties of avocados that we stock up on at our famers market like Hass, Fuerte, Bacon and Zutano, it’s easy to get inspired to come home and prepare recipes like Avocado Toast, Avocado Shake, Kale and Avocado Salad, Avocado Honey Dip and of course, Guacamol-Wee for new eaters! 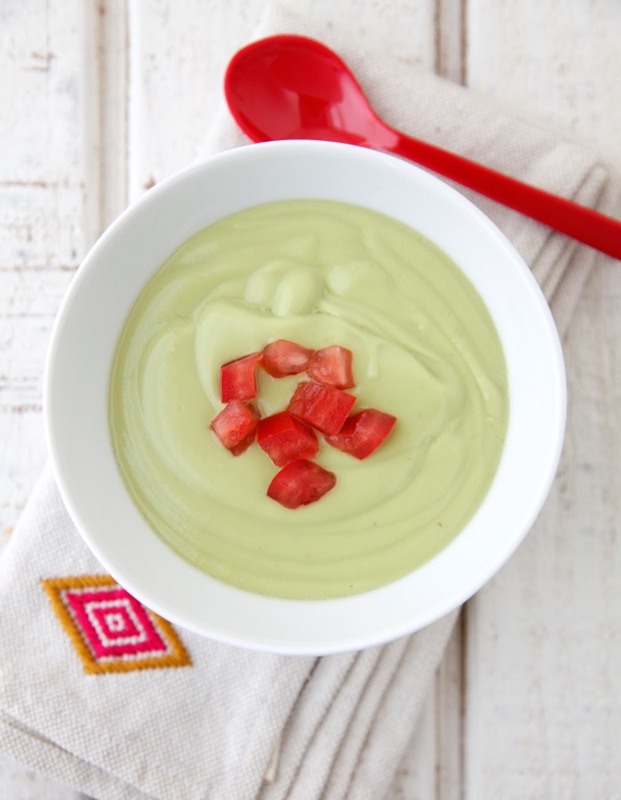 The vendor who sells organic avocados at the farmer’s market is always giving up tons of bruised or ready to be consumed emerald beauties, so I took a basketful home to try to recreate the creamy Chilled Avocado Soup I had devoured months before. It’s really simple, just letting a few simple ingredients speak for themselves. I like to add greek yogurt for a bit of tang and protein and lemon juice to brighten the flavor and make sure the soup retains it’s green color. Top each bowl (or shot glass to be served at a summer time party) with some diced bell peppers, a beautiful leaf of cilantro, crumbled bacon or even a dollop of sour cream for a soup that will satisfy and please! 1. 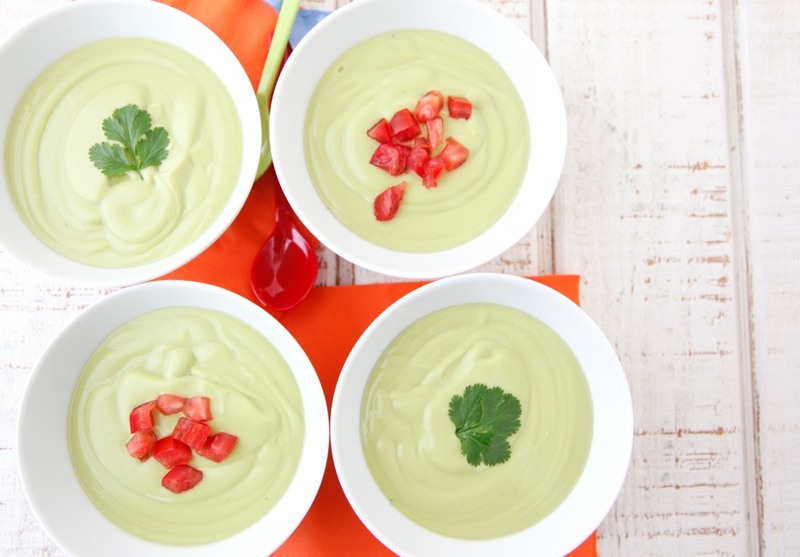 Spoon the flesh of the avocados into a food processor. Add the remaining ingredients and blend on high until smooth. 2. Transfer to the refrigerator until chilled. 3. Serve with desired accompaniments. Love your site and recipes. 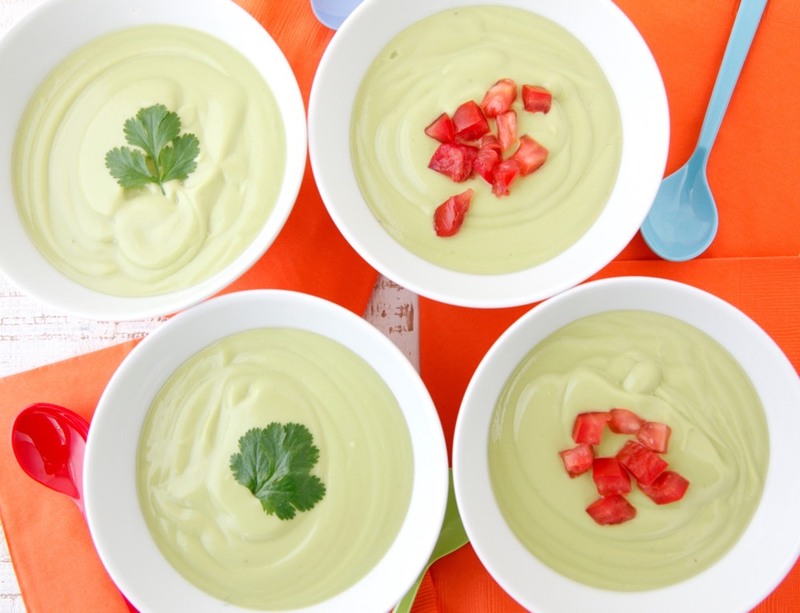 As a variation I have often made chilled avocado soup with cucumber as well - thins it a little and gives a nice refreshing taste. Just an idea. Does this turn brown like a regular avocado if stored in the refrigerator? Or does the lemon juice and yogurt keep it fresh looking for a day or two? It should stay fresh looking, but you can place parchment paper or plastic wrap directly touching the surface of the soup to store it just in case!